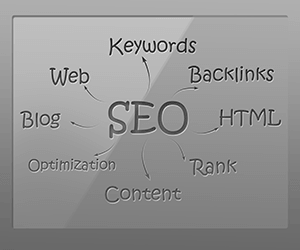 WebVantage Marketing specializes in providing results oriented Search Engine Optimization (SEO) services and consulting. If you are unfamiliar with SEO, Wikipedia defines it as the process of affecting the visibility of a website or a web page in a search engine’s natural or unpaid search results. As an example, if you were to use Google to search for the niche of your business, the top results will have a higher SEO score than those not showing up on the first page. Studies have shown that the top ranked website for any given keyword will receive around a 35% click through rate from people looking for more information about that specific topic. Websites ranked number two on average will receive around 12.5% of the traffic from people searching. 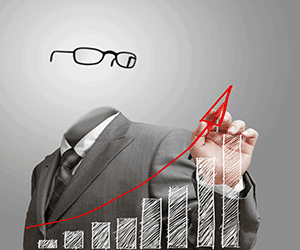 If a website ranks number three, that site can expect to get under 10% of the traffic. The traffic numbers decrease exponentially the lower a website ranks on the first couple of pages of the search results. If your website is not ranking within the first couple of pages of a search engines results, you will most likely not get any traffic to your websites. At WebVantage Marketing, our Search Engine Optimization specialists focus on both On-Page SEO, as well as Off-Page optimization. Many people develop great webpages for businesses; however their are a lot of elements that get overlooked which can hurt a website’s On-Page SEO score. Our SEO experts know exactly what to look for in order to get your web site or specific web page ranking well in the search engines for your desired keywords. By reviewing your site with a fine tooth comb, our team will analyze your company’s website for On-Page SEO factors such as over optimization of keywords, duplicate content, proper URL formatting, and a variety of other factors that could affect the way your website ranks in the search engines. The second area our SEO experts will focus on revolves around Off-Page Search Engine Optimization. If your website is optimized properly with On-Page SEO but still is not ranking in those top positions, it is important to take a look at your Off-Page factors. Building the right type of links to your website is critical to building trust within the search engines. If you do not go about building links the right way, you could inadvertently hurt your Off-Page SEO score and cause your website a lot of damage when it comes to ranking. The Search Engine Optimization team at WebVantage Marketing uses a wide variety of techniques to build you high quality, relevant links to your website. We understand the importance of quality link building and know how to optimize your links to boost your websites ranking. Additional areas of importance today are obtaining positive social signals from sites like Facebook, Twitter, and Google+. Our Social Media Optimization group can help you gain more traction on the most relevant social media sites for your business. Our Search Engine Optimization experts also focus on assisting you find the best keywords to target for your business. While it is easy to rank for something such as your business name, most people use the search engines to find a company providing a specific product or service. Our SEO team has a lot of experience in picking the best keywords to drive targeted leads to your website. Using a variety of tools, our team will determine which keywords deliver the most traffic to your site. Using these high traffic keywords as a starting point, the team will then generate a lot of other search queries related to the broad keywords. Once a list of keywords has been generated, our Search Engine Optimization experts will work on both On-Page and Off-Page SEO to help your website rank for those terms. Lastly, the Search Engine Optimization team can assist you with Online Reputation Management. Do you have a negative review that is ranking high in the search engines? Our team can help push down negative reviews or articles while ranking positive websites for your business. Our reputation management team can help you keep your brand profile looking positive by pushing negative results off of the top ranking positions. Check out the video below and see how our Search Engine Optimization services can help your company succeed with increased sales, customers, and leads!